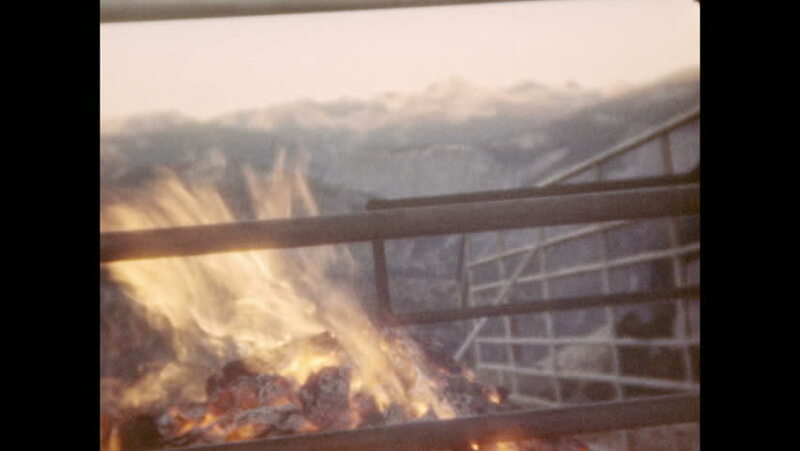 1940s: Camp fire with mountains in background. Moon. Mountain in sunset light. Camp fire burns at night. hd00:251940s: Driving along winding mountain road. Man in hat stands by covered wagon. Driving in traffic, steep red rock formations, cloudy sky, parked cars, people walking. 4k00:30Aerial panorama view with bridge and sea around islands. Beautiful landscape surrounded with blue sea with bridge between. Autostrada bridge with traffic over Krka river at sunny day in Croatia. hd00:20UNITED STATES: 1970s: overhead view of train passing under roads. hd01:41CIRCA 1962 - The structures that make up the Saturn Launch Complex 34 at Cape Canaveral, Florida. hd00:40CIRCA 1949 - A vacationing family drives their Chevrolet on a San Luis Obispo beach. 4k00:13Dam with floodgate, Dam with water overflow, Spillway on the Khun Dan Prakan Chon Dam in thailand. 4k00:20Spillway at Itaipu Dam, on the border of Brazil and Paraguay.